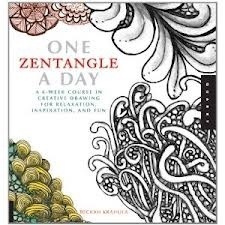 I recently bought the book One Zentangle a Day from amazon and I’ve found it a lovely and practical introduction into the art of zentangles. This is a recently developed technique where you draw repetitive strokes over and over again, adding shading and highlights to form a patterned tile. These tiles can be shaped to create a greater picture or form. 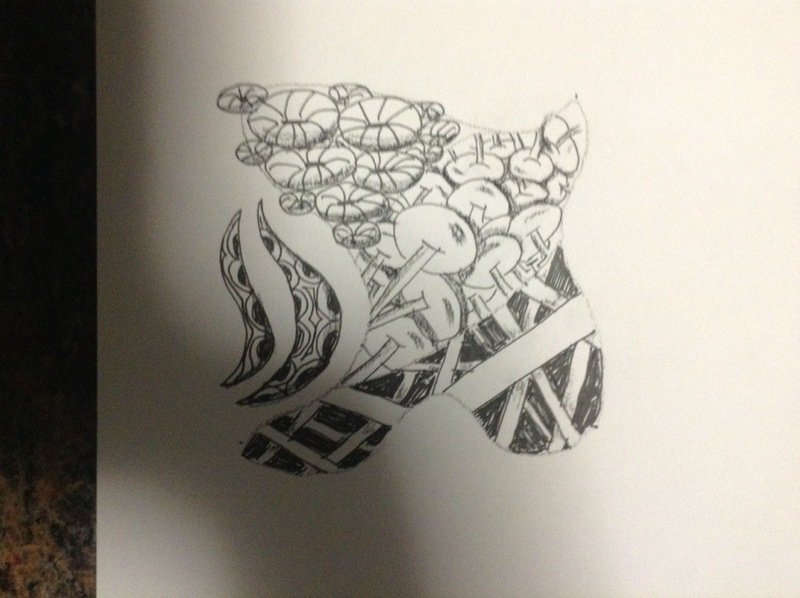 Below is a starter Zentangle that I drew recently. 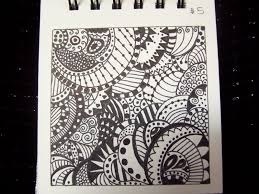 It is a very meditative form of art, hence the zen in Zentangle. 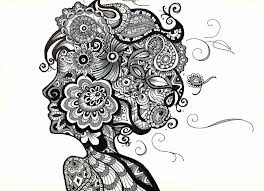 Here are some more advanced zentangles from the web. You can also add colour if you want. Why not give zentangling a go. It is relaxing and gets you drawing on the page, and not afraid of a blank sheet of paper. It really is fun, isn’t it? Especially if you’re not trying to “make something” with it and just doing it as a meditative exercise. Yes. It really centres me and gets me out of my thinking mind. I find it’s also a great warm up for other drawing activities. Reblogged this on The Underground Artist Pub. Emerald Fayre on Why suffering? Meepo Life Create a free website or blog at WordPress.com.